Check all containers and pots for telltale signs of vine weevil attack often shown by plants suddenly wilting. Upon examination roots have been eaten or stems of more woody plants have their bark striped. The best method of control is Nematodes. 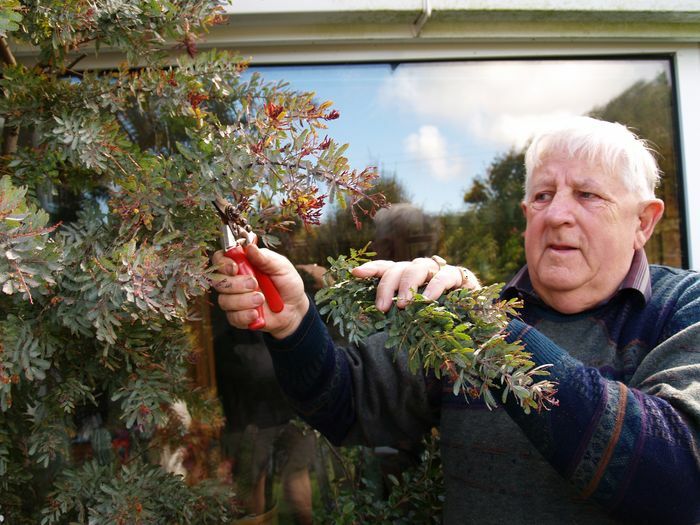 This treatment might seem expensive but compare it to losing some priceless plants. In my experience one treatment in the spring will last all season. 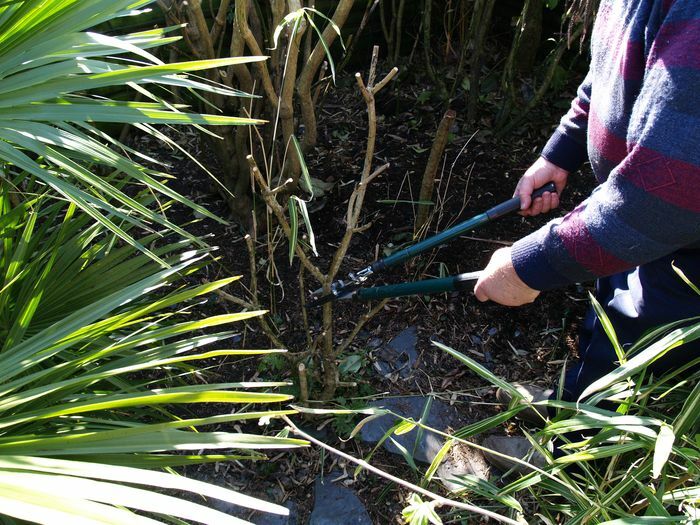 We have several videos on pruning, you will find more pictures and tips after the videos. 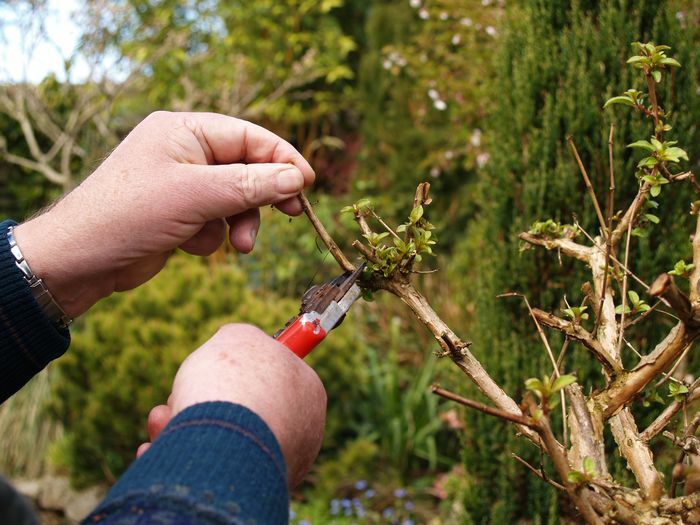 Click for more pictures and tips on pruning. 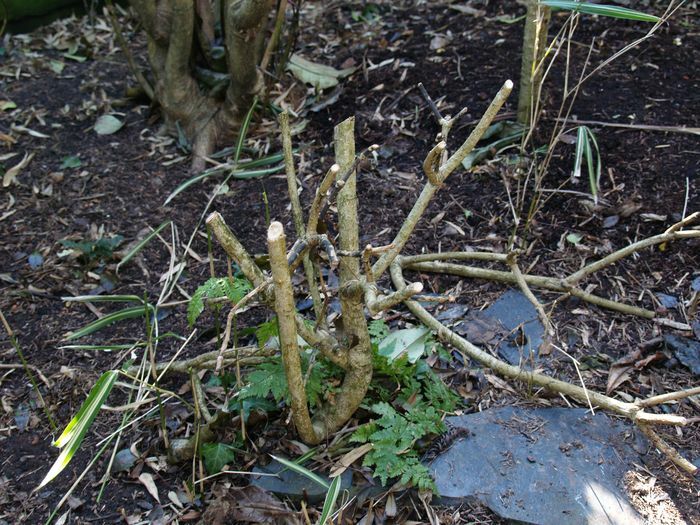 Now is the time to prune spring flowering shrubs which have just finished their display e.g.Forsythia, Ribes. Remove most of the growth which has just flowered, leaving any new shoots from the base of the plant. Rising sap will produce vigorous new growth which will flower next Spring. Late summer flowering plants e.g. Fuchsia and Caryopteris now need pruning back hard as they produce this season’s display on their new growth. Hydrangea paniculata and Hydrangea arborescen varieties need hard pruning to produce strong young growth which will flower from August onwards. Click here for more details on caring for hydrangeas. Other deciduous shrubs grown mainly for their foliage e.g. Cotinus ‘Royal Purple’ or ‘Golden Spirit’ can now be pruned back as far as desired to promote branching. Evergreens grown mainly for their foliage e.g. Photinia x fraser ‘Red Robin’, can be hard pruned to promote the scarlet young growth. 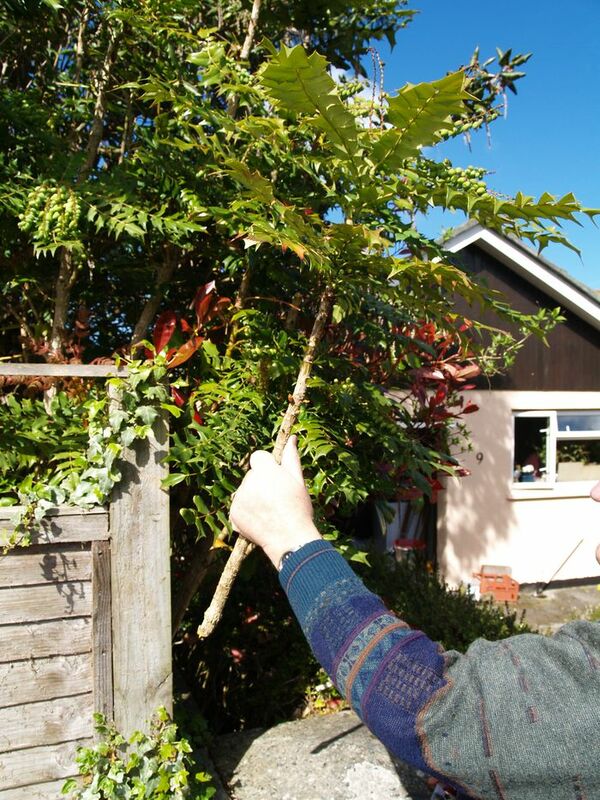 Tall growing Mahonias e.g. 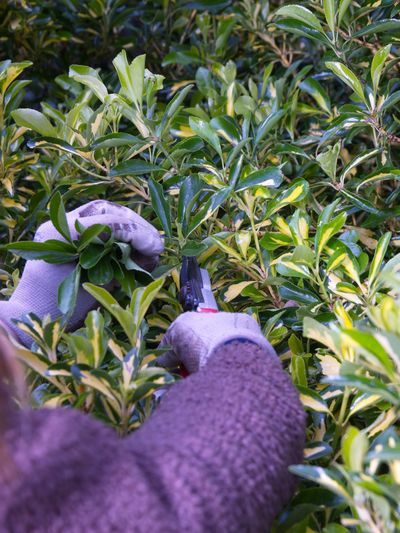 ‘Buckland’ and ‘Charity’ can be hard pruned to reduce height and promote bushy basal growth. Acacia baileyana ‘Purpurea’ and Acacia dealbata can be pruned back hard to bare stems if necessary immediately after flowering. This will keep them in bounds and produce new flowering growth for next year. Click here to read more about caring for Acacias. 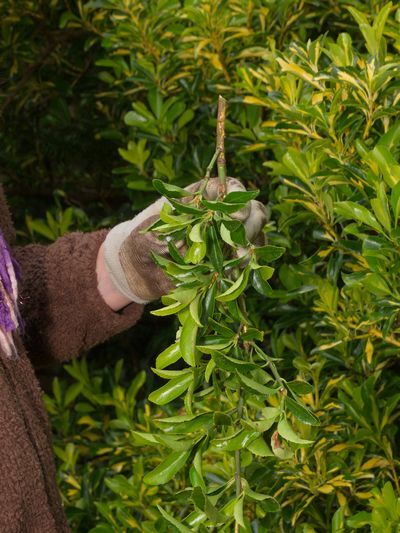 Cut out any plain green shoots on variegated evergreens. Check the new tubers on Tropaeolum tuberosum ‘Ken Aslet’ and replant deeper (just like potatoes). Water any newly planted areas around the garden in dry spells. 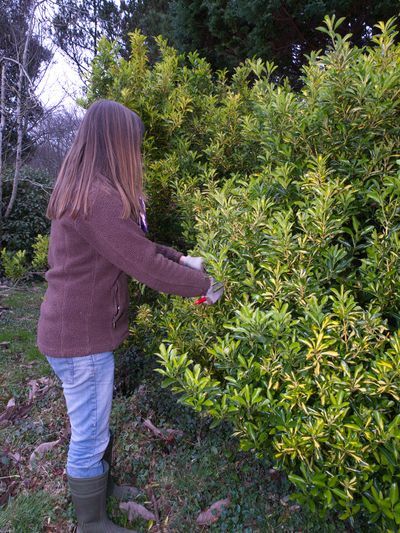 Spot spray around base of trees and shrubs with a good contact herbicide I.E. Roundup.